BPP University Law School held a webinar that walked prospective BPTC students through the steps involved in becoming a barrister. The panel included Liz Roberts, BPTC Programme Leader, Peter Wolfenden, BPTC Lecturer, and pending pupil barrister Niamh Ingham. During the hour-long webinar, the panel shared some insights into how competitive the field is, and outlined the key skills and attributes of a successful barrister before diving into an in-depth guide to how you can become a barrister. Kamran Khan is a recent BPTC student, who joined the webinar to share the top things he learned from the hour-long event. 1. Is the Bar right for me? Life at the Bar is known to be both demanding and rewarding in equal measure. Therefore, BPP advised that you consider whether you would be suited to that lifestyle, before you even decide to start the BPTC. If you are an individual who relishes the perks (and risks) of being self-employed, the opportunity to advocate complex points in front of judges and negotiate deals on behalf of others, then this may be the profession for you. Barristers must also be adaptable, as their day to day routine is often very different, especially when they are instructed to deal with cases last-minute. 2. Can I handle the competition? The unfortunate reality of the Bar in England and Wales is that it is incredibly competitive. According to BPP, there are more than 2,500 applications for 2,164 BPTC places each year – and there are less than 500 pupillages on offer. The chance of tenancies is even lower still. As you can see, the number of candidates far outweighs the number of places available. Deep levels of resilience, patience and dedication are required in the quest to secure pupillage. 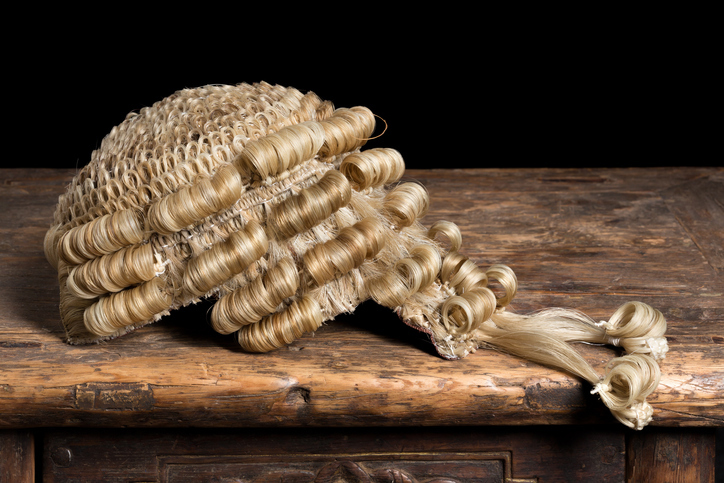 At this stage of your career, it is crucial to seek out as many career-related opportunities as possible, because this will help BPTC providers and chambers understand if you are truly passionate about becoming a barrister – try and say ‘yes’ to any opportunities that are thrown your way because you never know where they may lead to. In order to ensure you are ready for the competition that lies ahead, the BPP team advised that you can take steps to become ‘practice ready’. This means working hard on your LLB or GDL (securing at least a 2:1 or a Commendation), developing your legal CV and enhancing your sector knowledge. A good BPTC candidate is well-read and is able to form reasoned arguments based on the information presented before them. It’s important to note that strong academics alone are not enough; you must make yourself stand out. There are plenty of opportunities to take on leadership positions at university (for example in your Bar Society) or other positions of responsibility such as working at your local Citizens’ Advice Bureau or Legal Advice Clinic. All of these experiences will instil you with the soft skills that will be essential at the Bar. Further, chambers will invariably be spoiled for choice when it comes to selecting pupils – that is why it is important to show them you have what it takes. A very good way of demonstrating this is to show evidence of success. Success can be measured in many ways, but strong indicators include receipt of scholarships and prizes won (i.e mooting competitions) or publications of academic work. These achievements will show chambers that you are a high-achieving and trustworthy candidate. 4. Can I afford the BPTC? By the time students consider applying for the BPTC, significant debts have been accumulated. The BPTC is also an expensive course to fund. However, do not despair as there is plenty of financial assistance available. There are plenty of BPTC scholarships available by both the course providers and Inns of Courts (of which you will be required to become a member of one). Depending on which Inn of Court you apply to (Middle Temple, Inner Temple, Lincoln’s Inn or Gray’s Inn), a significant number of scholarships are made available and are assessed on the basis of merit and/or financial means. You must do your research to find out where you think you should apply in order to maximise your chances of obtaining a scholarship. BPP itself has two scholarships that all applicants are automatically considered for. 5. Do I have the right attributes for a barrister? BPP doesn’t stipulate perfection as the ideal standard for prospective students. BPTC providers like BPP are solely interested in a candidate’s potential to succeed as an advocate. Self-improvement is a continuous process, and one that any barrister will find themselves engaging with throughout their career. Throughout the BPTC, there will be ample opportunity to receive constructive feedback from experienced practitioners, and this in itself will be a transformative experience. Thinking about becoming a Barrister and want to know more about the Bar Professional Training Course (BPTC)? Should you be a barrister or solicitor?